A woman who preyed on a man with learning difficulties to fund her drug habit has been jailed for more than five years. 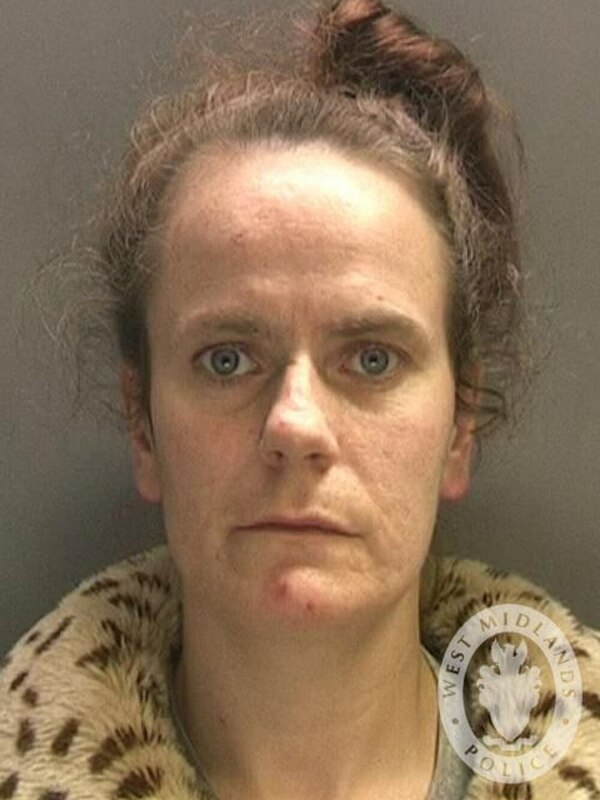 Serial offender Donna Colbourne, from Hednesford, realised the victim was vulnerable when she was introduced to him in the street by a mutual friend on April 29 last year. It is assumed the scheming 32-year-old followed him to discover where he lived and returned to the address in Bilston, Wolverhampton, at 9.30 that night. The mother-of-two forced her way into the flat after asking for something to eat. Once inside she declared she was not leaving until he gave her money, Wolverhampton Crown Court heard. A search of his pockets unearthed £15 in notes and £5 loose change and she took the lot, Mr Philip Beardwell, prosecuting, told the jury. The 57-year-old victim’s learning difficulties meant he needed help from carers and had his benefit money diverted to pay bills because of his inability to deal with them. He was given small amounts of pocket money, normally no more than £10 and £15 at a time, the court was told. The defendant barged into his home in search of more money during the early hours of May 2 and took £10, which was all he had. The man later told his carer what happened. Colbourne was arrested and released on bail with the condition she had no further contact with the victim. But she did not hesitate to pester him for money and cigarettes when she spotted him walking down Bilston High Street on October 7 and again took all his cash, which on this occasion totalled £2. The defendant, who knew he had made a statement to police about her earlier behaviour, warned he would be beaten up and the windows of his home smashed by drug dealers if he continued to support the prosecution. The terrified man ran off in tears to the home of a friend, who subsequently alerted police who rearrested the defendant. Colbourne, from Sussex Drive, denied two robberies, theft and witness intimidation but was convicted of all the offences after a trial in which she chose not to give evidence. She had previous convictions involving 62 separate offences, including stealing money from an 83-year-old man. Her children are no longer in her care.